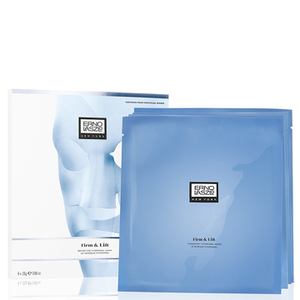 The range of face masks from Erno Laszlo are the perfect products to provide targeted attention to skincare issues, whether it’s to refine pores or to boost moisture and hydration levels. These home spa treatments will calm and relax both your mind and skin for a flawless complexion. Which mask should I use to reduce hyper-pigmentation and boost radiance in my skin? The Erno Laszlo Luminous Dual Phase Vitamin C Peel is a two-step treatment which gently exfoliates away impurities to give the skin a younger look and feel. Working to reveal the skin’s natural radiance, lactic acid, super fine crystals and vitamin C team up to reduce hyper-pigmentation and encourage collagen production. Just one use of this mask will leave you with a crystal clear, supple complexion. Which mask should I use to give my face a clearer complexion? The Erno Laszlo White Marble Sheet Mask is a relaxing at home facial treatment to cleanse and restore skin for a natural, replenished look. Perfect for refreshing skin cells, the refined formula combats melanin production and colour loss for an even tone. Made with delicate calming notes and Yuzu fruit extract, the anti-oxidants balance complexions and soothe, refine and hydrate skin to provide all over comfort and relief. Which mask can I use to soothe my sensitive skin? 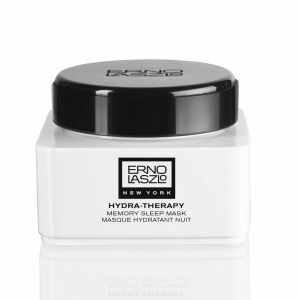 The Erno Laszlo Sensitive Hydrogel Mask gently moisturises and soothes skin for a refreshed and smooth complexion. This cooling face mask evens out redness and irritations, including rosacea, whilst hydrating and balancing for a refined texture. Enriched with botanical extracts, Vitamin rich rose oil, peach leaf, skullcap root and honeysuckle extract, these natural detoxifiers reduce fine lines whilst encouraging cell renewal and revitalising dull, dry skin for a brighter, more youthful appearance.